"The Woman Suffrage Statue" is now available from McFarland Publishers. 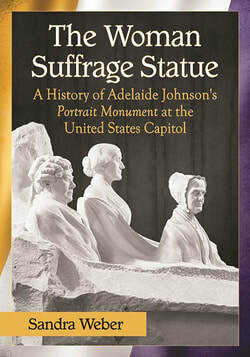 The book tells the history of Adelaide Johnson's sculpture---The Portrait Monument of Lucretia Mott, Elizabeth Cady Stanton and Susan B. Anthony---which resides in the U.S. Capitol. Sandra is available for book signings and programs.